With a career spanning more than 20 years, Paco Osuna is oneof the most renowned artists in the industry. As a DJ he is lively,intelligent and sophisticated, with a deep awareness when itcomes to sound aesthetics. For Paco, all sessions are importantand it is a requirement of his to invent and renew every time hesteps onto the stage. Musical monotony has never been an option.In 2006 he launched Mindshake, conceived as a platformfor the creation and distribution of electronic music. Also in2006, Paco founded Club4 in Barcelona. A venue with a freshconcept, Club4 has established itself as the overwhelmingchoice for its variety and accessibility in electronic music offerings.With his studio production, Paco is a fertile mind ever evolvingand over time has developed his own musical trademark, coating the purest techno sounds with his most characteristic fibers: deep, dark and imaginative beats. Paco has published onlabels such as Plus8, Spectral among many others. 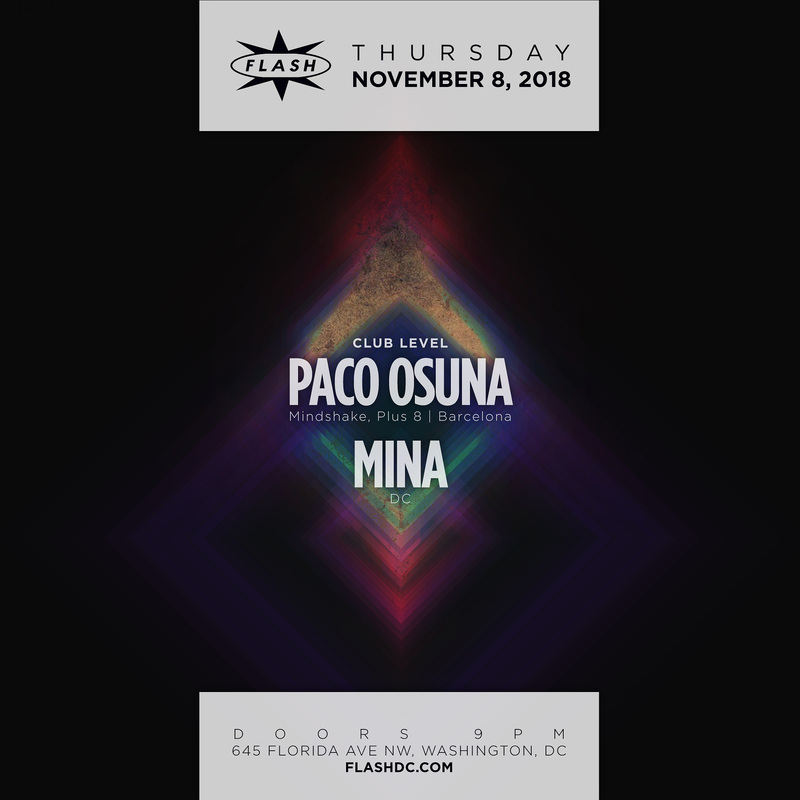 In October2014 Paco Osuna returned to Minus, with Long Play. The LP isa meeting point between Paco Osuna’s past and his future, aproduct of almost 20 years behind the decks - eight precisiontracks, purpose-built for the dance floor in his own inimitable style.He has also been recognised with several of the most importantawards in Spain: Best Artist, Best Techno DJ and Dj of the year(Vicious Music Awards, from 2011 to 2014); Best Producer andBest Remix: Plastikman-Ethnics (DJ Mag 2011).